The Double Six Crash, also known as the Double Six Tragedy, was a crash, involving a GAF N-22B Nomad of Sabah Air, which took place on 6 June 1976 at Kota Kinabalu, Malaysia, killing several local politicians and political leaders. Tun Fuad Stephens came to power during the 1976 Sabah state elections which were held from 5 April to 14 April 1976. His Berjaya party won 28 of the 48 seats contested, defeating the previous governing party United Sabah National Organisation (USNO) led by Tun Mustapha. Tun Fuad was sworn in as the 5th chief minister of Sabah on 15 April 1976. On the 53rd day after he won the elections, the aircraft he boarded crashed on the way to Kota Kinabalu Airport. In the evening of 5 June 1976 (Saturday), Tun Fuad with his brother Ben Stephens and other Berjaya leaders gathered at Labuan Golf Club in order host a post-victory celebration for Tun Fuad's old friend, Tengku Razaleigh Hamzah. Tengku Razaleigh was the federal finance minister and also a chairman of Petronas, a Malaysian oil and gas company. Tun Mustapha, the former chief minister of Sabah, had previously refused to sign the 5% oil agreement with Petronas. Tun Fuad, Tengku Razaleigh, and other Berjaya leaders had a good chat until 6:00 am on 6 June 1976', Tun Fuad and his brother left to fly back to Kota Kinabalu in order to flag-off a charity walkathon to be held in the early morning of the same day. This charity event was organised by Federal Department Staff for the National Monument Restoration Fund. Datuk Peter Mojuntin, another Berjaya leader, decided to stay at Labuan in order to officiate at a Berjaya party branch's victory celebrations. Tun Fuad met his eldest son Johari Stephens at the walkathon which started from Tanjung Aru to Kota Kinabalu, lasting till 8:30 am in the morning. Tun Fuad decided to take a shower at his own home and went back to Kota Kinabalu Airport for a flight back to Labuan. Tun Fuad also insisted that his eldest son Johari should follow him to Labuan in order to visit the official opening of RM 100 million oil refinery. However, Tun Fuad and his son never make the trip to the refinery because of their own busy schedule. Tun Fuad then went back to Labuan Golf Club in order to meet Tengku Razaleigh in the late morning. Tengku Razaleigh was sleeping all this while from 6:00 am into the late morning. Tun Fuad and Tengku Razaleigh had a lunch at a beach near a village called Layang-Layang. Tun Fuad then presented Tengku Razaleigh with a wooden table that shaped like a Labuan Island as a gift. After that, they decided to return to Kota Kinabalu earlier for the preparation of an official banquet at Istana Negeri (State Palace) at night where Tengku Razaleigh and Tun Fuad were to sign the Petronas deal. At 3:00 pm, Tun Fuad, Tengku Razaleigh, and other Berjaya leaders boarded the government-chartered, twin engine, ten-seater Australian Nomad aircraft owned by Sabah Air. Peter Mojuntin was among those aboard. Peter originally planned to board the Malaysia Airlines (MAS) flight back to Kota Kinabalu at 1:30 pm scheduled on the same day. However, Peter was persuaded by Tun Fuad to fly back to Kota Kinabalu with him because Tun Fuad wanted to discuss some matter with Peter on board the flight. Peter also cancelled the MAS flight and declined an invitation to travel in another GAF Nomad aircraft that were seated with another Berjaya leader Datuk Harris Salleh and Sarawak chief minister Abdul Rahman Ya'kub. In April 2010, Tengku Razaleigh claimed that he was seated behind Tun Fuad while Abdul Rahman Ya'kub was seated on Tengku's right side in the Nomad aircraft when Harris Salleh came in last minute and asked Tengku to exit the aircraft in order to inspect a cattle ranch at Banggi Island. Tengku agreed and he invited Abdul Rahman to follow him. Ishak Atan, the private secretary to Tengku Razaleigh, decided to stay back with Tun Fuad's aircraft because he wanted to prepare the documents for the signing ceremony in Kota Kinabalu. Tun Fuad's aircraft took off first followed by Harris's aircraft. Tun Fuad's aircraft also carried heavy goods from duty-free port of Labuan such as expensive golf equipments and coloured television sets. Nomad aircraft were not fitted with a black box to record all its course changes and altitudes at that time. However, Tengku Razaleigh gave a different account of the last minute events in the book titled "The Sabahan:The Life and Death of Tun Fuad Stephens" which was published back in 1999. Tengku claimed that he met Harris Salleh at the beach near the Layang-Layang village when the latter asked him to go to Banggi Island to inspect a cattle ranch. Tengku Razaleigh agreed and went to the Labuan airport. Tengku then climbed into the Tun Fuad's aircraft and asked Abdul Rahman to accompany him to Banggi Island. According to Borneo Bulletin newspaper published on 12 June 1976, Tun Fuad's son, Johari Stephens (25 years old, trainee pilot) asked if he could ride the aircraft in the co-pilot seat. The request was granted and the aircraft took off from Labuan. The flight from Labuan to Kota Kinabalu usually takes around 40 minutes. Tun Fuad's aircraft should have landed at 3:30 pm at the Kota Kinabalu Airport. The weather was good and the VIP aircraft should have received immediate clearance for landing. However, the aircraft circled and approached the airport from the north. It was claimed that the ground control tower instructed the aircraft to make another turn because of an inbound MAS-737 flight to the airport. An airport official claimed that there were conflicting instructions from the ground control tower. George Mojuntin, the eldest son of the Mojuntin family, was one of the eyewitnesses of the aircraft crash. He and his friends were playing golf when the aircraft crashed into the Sembulan Sea while it was trying to land at the Kota Kinabalu International Airport. The aircraft was 600 feet above, flying at 86 knots, approaching the runway from the north, seemed to stalled mid-air with one wing dipped down and suddenly spiraled (exactly one and a half turns) towards the shallow sea which was three feet deep and crashed. It was 3:41 pm and 27 seconds. Eyewitnesses at Kampung Sembulan Baru reported that they heard an explosion at about 3:30 pm. When they rushed out from their homes, they saw an aircraft broken into two with cockpit embedded in the sandbank about three feet deep. Parts of the aircraft was embedded in the sea while part of it was exposed above the water. According to Far Eastern Economic Review published on 18 June 1976, the aircraft flown over the Kampung Sembulan Baru at 200 to 300 feet as it approaches the north eastern end of the runway. The aircraft was veering from side to side before it went into a spiral and crashed. There were bodies all over the floor of the plane...,they were mangled in different ways. Tun Fuad was sprawled (falls with one's arm and legs spread out in an awkward way) grotesquely (unnatural shape), his limbs at an odd angle to his body. I recognised him by his size. Peter Mojuntin had his face untouched but there was only a bloody hole at the back of his head. The smell of blood was terrible and my chaps were at the point of fainting, but we managed to get the bodies out of the plane and lined up near to it so that we could make a quick identification. There were no survivors. I was horrifed to see that almost every Berjaya senior leader was there. Only Harris was missing. All the bodies were converged at the cockpit except for one who was still in strapped into position by his safety belt. The cockpit was buried into the ground. Captain Nathan was found at the pilot seat while Johari Stephens (Tun Fuad's son) was found at the co-pilot seat. All the bodies were mutilated beyond recognition except for Peter Mojuntin face who still remained intact. One head was found to be severed and located at a distance from the body. One eye witness described the condition as "their bodies turned jelly with practically every bone in their bodies broken or smashed". Firemen were the first to arrive at the scene. Policemen then came to seal off the area. Axes were used to cut open the aircraft and 11 bodies were removed. 2 revolvers, 5 watches, and RM 6,000 cash were recovered. All the bodies were rushed to Queen Elizabeth Hospital for stitching. Doctors worked for more than 6 hours to stitch up the body parts. Ben Stephens and Tengku Razaleigh then arrived at the mortuary for formal identification of the bodies. The aircraft crash created a vacuum in Berjaya party leadership. It also created 5 vacant Sabah state assembly seats where by-elections would be held. Tun Fuad's death leaving behind his wife Rahimah Stephens and 4 children who were still studying in Australia at that time. The prime minister of Malaysia, Datuk Hussein Onn immediately launched a full-scale investigation on the cause of the aircraft crash. The investigation team was led by Colonel Osman Saman, consisting of officers from the Aviation Department, the Royal Malaysian Air Force, the Royal Malaysian Police, and other associated departments. Government sources at that time mentioned that it was abnormal for the aircraft to take a spin before crashing into the sea. Therefore, foul play was suspected and the aircraft could have been tampered with before it took off from Labuan airport. Tun Fuad and his party were returning to Kota Kinabalu from Labuan when Sabah Air Nomad Aircraft, coming to land at the airport, spun and crashed. The aircraft broke into several pieces. The cause of the accident is not yet known. Harris Salleh was still grievous and he was reluctant to assume the post of chief minister. However, after Tengku Razaleigh's persuasions, Harris sworn in as the sixth chief minister of Sabah just before midnight on the same day. ...The glory of this House is diminished by their absence but their spirit, the New Spirit of Sabah, lives on. — Datuk Harris Salleh on 14 June 1976. Harris later admitted that he found himself being pushed around by the federal government and he was too young to stand up against the its demands. However, if Tun Fuad was still alive, he may be able to stand up against it because he was more senior and had the respect of the federal government. The findings of an investigating team did not reveal any technical errors or sabotage as being the causes of the air crash. What they have instead discovered is that the fault was due to human error. It was also revealed that the aircraft's storage space at the back of the aircraft, was loaded with goods above the maximum load. As a consequence this had resulted in the aircraft losing control when it attempted to land at the Kota Kinabalu Airport, thus resulting in the accident. The Australian investigation report remained classified since then. The report titled "G. Bennett - Sabah Air Nomad - Report by Government Aircraft Factories (GAF) investigation team on a crash of Nomad aircraft in Malaysia 9M - ATZ on 6 June 1976" is currently hosted at National Archives of Australia under Series no: B5535 and restriction number of 33(1)(a) because "Malaysia has not as yet publicly released their final and full report of the investigation". As of 2015, 39 years after the air crash happened, the Malaysian government has not declassified the investigative reports of the crash. Aircraft overloading – If the Nomad aircraft is not operated within strict weight limit, it will behave unpredictably when the speed is low, especially when the aircraft is landing. This fact has not been mentioned in the flight manual during the time when Double Six Crash occurred. Since the aircraft was carrying heavy goods when it was landing at the Kota Kinabalu Airport at a low altitude (600 feet), the pilot would not have to time to respond and maneuver the aircraft out from the spin and perform an emergency landing. Pilot error – Captain Nathan may have allowed the eldest son of Tun Fuad, Johari Stephen, who was also a trainee pilot, to control the aircraft. This was suspected because Johari's body was found in the co-pilot seat. The aircraft may have gone into a spin when Johari tried to pull the heavily loaded aircraft too steeply out of his landing approach. However, the opposite is equally likely. Captain Nathan, with many years of flying experience, could easily pull the aircraft out of a spin and save the aircraft from a deadly crash. Design flaw of the aircraft – This is the second Nomad aircraft crash following the first crash on 3 October 1973 when the aircraft was leased to Royal Australian Air Force (RAAF) as A18-002 in July 1973. The 3rd Nomad aircraft crash occurred on 6 August 1976 during a test flight at Avalon Airport, Australia, exactly 2 months after the Malaysian Double Six Crash. In November 1995, 20 years after the Double Six Crash, the Four Corners TV series of the Australian Broadcasting Corporation (ABC), which is noted for its investigative exposés, ran a programme on the dangers of Nomad aircraft which had been suppressed over the years. At the time when the programme was broadcast, there were a total of 19 Nomad accidents with 56 deaths. It was the aircraft crash flown by Glen Donovan on 12 March 1990 that caused a mutiny among Australian army pilots and the usage of all military Nomads were discontinued after that. Harry Bradford was a former RAAF test pilot. He found controllability issues of the aircraft especially during its handling on approach and landing. However, his reports were being suppressed because it could harm the reputation GAF and Australian national interests. A former GAF design engineer, Paul Hughes, bought 16 Nomad aircraft through his own corporation. However, soon after that, he filed a legal suit against Nomad for a number of aircraft defects such as a defective tail design and maximum weight limit that the aircraft can carry which was far lower than advertised weight limit. The Australian government finally paid A$ 4 million to Hughes Corporation. Hughes then disposed of 15 out of 16 aircraft that he had bought. Tun Fuad's family now believed that the aircraft faulty design is a more likely cause of the Double Six Crash. A monument known as the Double Six Monument was later built at the crash site in order to commemorate the tragedy. Malaysian Home Ministry has banned the book titled Peter J Mojuntin – The Golden Son of The Kadazan as soon as it was published in May 1978. The book contains detailed description of events happened before, during, and after the aircraft crash. The ban has not been lifted since then in order to ensure "public safety as the book was very critical of the federal government". Since 2010, various quarters have been seeking to lift the ban on the book. In July 2010, former Sabah chief minister Harris Salleh filed a defamation suit against another former Sabah chief minister Yong Teck Lee following claims that Tengku Razaleigh Hamzah (former Petronas chairman) did not board the ill-fated flight when Harris asked Razaleigh to join him for another flight to Banggi Island to inspect a cattle farm. Yong had called for a new investigation in the case in order to find the exact cause of the aircraft crash. On 28 February 2012, Sabah High Court ruled that Yong had "crossed the line" by using the words "crime" and "assassination" against Harris Salleh. Yong was ordered to pay RM 1 million in damages to Harris. However, on 19 November 2013, Court of Appeal ordered Harris to refund the entire amount of damages back to Yong. 1 2 3 4 5 6 7 8 9 10 11 12 13 14 15 16 17 18 19 20 21 22 23 24 25 26 27 28 29 30 Granville Edge, P.J. (1999). The Sabahan: the life & death of Tun Fuad Stephens. Selangor, Malaysia: The Writers' Publishing House Sdn Bhd. pp. 10, 12, 14–16, 269–273, 275–286. ISBN 983-40114-0-7. Tengku Razaleigh remembers that weekend vividly. In his own words: Later we had lunch at Layang-Layang village and also addressed a large rally on the beach. After that I was scheduled to fly back to KK with Donald on the same Nomad. But at the last moment, on the beach, Harris said to me,"Why you want to go back so early? You only need to be at the Istana in the evening. Come with me to Pulau Banggi and I'll show you a cattle ranch. "...We left Layang-Layang and headed for the airport. There were two Nomads on the runway. One was for Donald's contingent heading back to KK and other was for Harris and me. But first I climbed aboard Donald's aircraft and looked around. I saw Rahman Ya'kub, Sarawak chief minister, there already seated. I asked him,"Why are you here? You're part of my contingent. Come with me to Pulau Banggi." So he got out. 1 2 3 4 5 6 7 8 9 10 11 12 13 14 15 16 17 18 19 20 21 22 Bernard, Sta Maria (May 1978). Peter J Mojuntin - The Golden Son of The Kadazan. Ujong Pasir, Melaka: Chan Litho Press Sdn Bhd. pp. 7–23. Archived from the original (PDF) on 2 July 2015. Retrieved 21 May 2015. Released online since 7 March 2013 courtesy of Chaos Computer Club Berlin. ↑ "Malaysian Air Crash kills 11". Sarasota Herald-Tribune. Kuala Lumpur. 7 June 1976. Retrieved 29 May 2015. 1 2 3 "Conspiracy still in the air". The Star. 10 June 2013. Retrieved 30 May 2015. ↑ Sawatan, Kelimen (23 December 2011). "Real cause of air crash never made known – Yong". The Borneo Post. Archived from the original on 29 June 2015. Retrieved 29 June 2015. ↑ Tengku Razaleigh 2010 - Rundingan dengan Kerajaan Sabah, Tragedi Tun Fuad Stephens (Tengku Razaleigh 2010 - Negotiations with the Government of Sabah, Tun Fuad Stephens Tragedy) on YouTube Speech by Tengku Razaleigh Hamzah (In Malay). Uploaded on 3 April 2010. URL assessed on 29 June 2015. 1 2 3 4 5 6 7 Rozario, Francis (7 June 1976). "Fuad:Sabotage suspected - Hussein orders probe into aircraft crash". New Nation. Retrieved 29 May 2015. 1 2 3 4 5 "Past air crashes that involved VIPs". The Rakyat Post. 5 April 2015. Archived from the original on 24 July 2015. Retrieved 24 July 2015. The Double Six Crash, also known as the Double Six Tragedy, was a plane crash which took place in Kota Kinabalu, Sabah. The plane was carrying 11 people, including then Sabah Chief Minister Tun Fuad Stephens, just seven weeks after he took office for a second term. The other passengers on the flight were State Ministers Datuk Salleh Sulong, Datuk Peter Mojuntin, Chong Thien Vun, and assistant minister Darius Binion. 1 2 3 4 Leong, Joe (8 June 2014). "Govt should release report on 'Double Six' air crash". The Ant Daily. Archived from the original on 30 May 2015. Retrieved 30 May 2015. ↑ "Bid to nullify the oil royalty deal". Daily Express. 26 September 2012. Archived from the original on 28 October 2012. Retrieved 30 May 2015. ↑ Lakai, Joseph (7 December 2012). "1976 plane crash: The unanswered questions". Free Malaysia Today. Archived from the original on 2 April 2015. Retrieved 21 May 2015. ↑ "SAPP will demand Double Six findings". Daily Express. 26 February 2013. Archived from the original on 21 May 2015. Retrieved 21 May 2015. ↑ Bennett, G. (1976). "G. Bennett - Sabah Air Nomad - Report by Government Aircraft Factories (GAF) investigation team on a crash of Nomad aircraft in Malaysia 9M - ATZ on 6 June 1976". National Archives of Australia. Government Aircraft Factories (GAF). Archived from the original on 20 May 2015. Retrieved 21 May 2015. ↑ "Nomad Sabah Accident Investigations Accessory documents". National Archives of Australia. Government Aircraft Factories (GAF). Retrieved 21 May 2015. ↑ Pluto, James (4 June 2015). "After 39 years, full disclosure of 'Double Six' tragedy should be made public". Kinabalu Today. Archived from the original on 24 July 2015. Retrieved 24 July 2015. ↑ "A18 GAF Nomad". airforce.gov.au. RAAF Museum. Archived from the original on 3 July 2015. Retrieved 2 July 2015. ↑ "ASN Aircraft accident GAF Nomad N.24 VH-DHF Avalon Airport, VIC (AVV)". aviation-safety.net. Aviation Safety Network. Archived from the original on 3 July 2015. Retrieved 2 July 2015. ↑ "Double Six Monument". Sabah Tourism Board. Archived from the original on 23 March 2015. Retrieved 29 May 2015. ↑ Fernandez, Joe (16 June 2014). 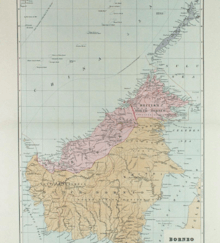 "Book casts shadow on Sabah history". Free Malaysia Today. Archived from the original on 20 August 2014. Retrieved 20 May 2015. ↑ "Lift ban on 'The Golden Son of the Kadazan'". Free Malaysia Today. 13 June 2014. Archived from the original on 17 August 2014. Retrieved 20 May 2015. ↑ Lim, Kit Siang (28 February 2010). "Family wants ban on book lifted". limkitsiang.com. Archived from the original on 23 April 2015. Retrieved 20 May 2015. ↑ Lim, Kit Siang (3 March 2010). "Online petition to lift ban on Peter Mojuntin biography – The Golden Son of the Kadazan". limkitsiang.com. Archived from the original on 23 April 2015. Retrieved 20 May 2015. ↑ Ng, Eileen (25 May 2015). "Ban on book about ex-Sabah leader stays, says Zahid". The Malaysian Insider. Archived from the original on 10 June 2015. Retrieved 10 June 2015. ↑ To, Queville (6 June 2011). "'Significant' start to legal battle between former CMs". Free Malaysia Today. Archived from the original on 29 May 2014. Retrieved 20 May 2015. ↑ Suriani, Andokong (19 November 2013). "Appeal by SAPP, Yong against RM1 million damages granted". The Borneo Post. Archived from the original on 19 November 2013. Retrieved 28 July 2015. ↑ "IN THE COURT OF APPEAL OF MALAYSIA (Appellate Jurisdiction) CIVIL APPEAL NO. S-02-691-03/2012 (Datuk Yong Teck Lee vs Datuk Harris Mohd Salleh)" (PDF). Court of Appeal Malaysia. Archived from the original (PDF) on 28 July 2015. Retrieved 28 July 2015. Malaysia:Death of Tun Haji Fuad. Video footage taken on 9 June 1976 depicting the crash scene and coffins of the victims. Published by Reuters.